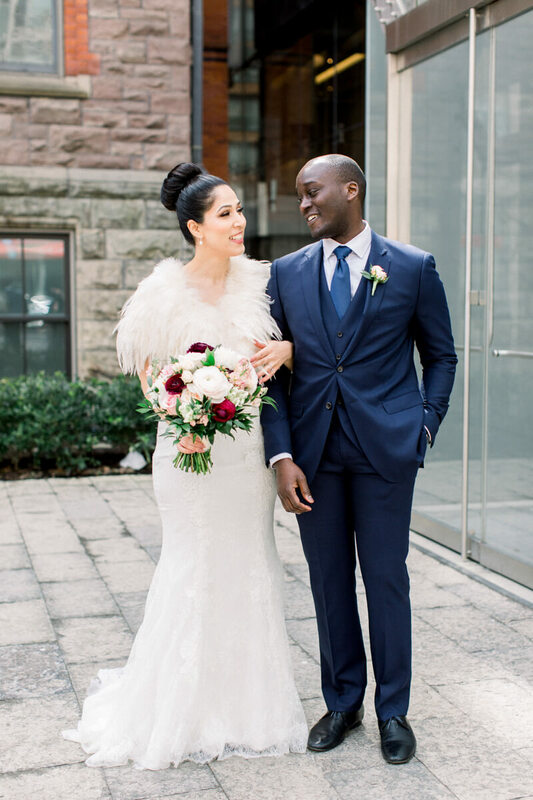 Ninety of Arezo and Kwabena’s closest family and friends from all across the world came to celebrate with them at the beautiful Malaparte in downtown Toronto. Swoon Events helped them plan from afar - Arezo says she doesn’t know what she would have done without a wedding planner. She wanted the day to be a true reflection of their cultures and love story. Their story: Arezo and Kwabena first met in 2007 when she lived in London and Kwabena lived in New York. Kwabena was visiting London at the time and they met through a mutual friend. They had an instant connection, but since they lived so far from each other, nothing much came from it. They added each other on Facebook and would send happy birthday messages over the years. Kwabena even visited London again in 2012 and they met up and had a drink.